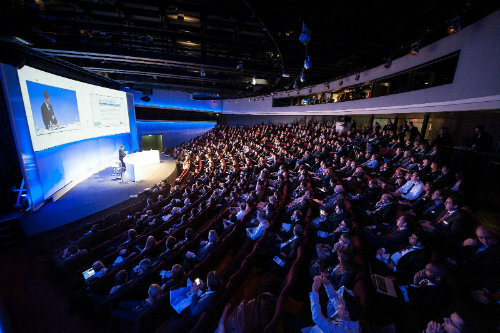 Security was one of the main themes resonating at last week’s CARTES event, an exhibition focused on the semiconductor industry and secure payment solutions held in Paris from 19 to 21 November 2013. Thus it was especially fitting that the event was renamed this year to CARTES “Secure Connexions,” and that attendees had access for the first time to Milipol Paris, a separate exhibition for the internal security industry organized by the French Ministry of Interior. The theme of security was front-and-center both on the exhibition floor (with over 440 exhibitors) and at the speaker sessions, including the high-level World Summit, which brought together the CEOs and SVPs of prominent industry stakeholders to discuss the challenges and opportunities of secure payment. Discussions included the security advantages of smart card-based payment solutions over cloud-based solutions, the rise of EMV-compliant mPOS platforms, and the use of biometrics for authentication. Despite the focus on smart cards, it was clear that mobile was on the forefront of everyone’s minds, as best articulated by Gemalto’s CEO, Oliver Piou, who summed up the industry’s future in just two words: “Mobile First.” For those who were unable to make it to the event, we have put together the following overview, including key trends to watch and award-winning innovations. Putting Mobile First: While there is a natural evolution towards mobile, industry players must also proactively nudge consumers to use their mobile devices for payments, according to Remi de Fouchier, VP Marketing for Mobile Business Unit at Gemalto. The only sure way to spur consumer adoption is to ensure that mobile payment services are developed with the mobile user experience in mind, first and foremost. This ‘mobile-first’ strategy will transform the way people interact with their mobile phones, and online portals or brick-and-mortar sales can be developed later. Security vs. Convenience: Multiple speakers addressed the need to find a common ground between security and convenience. Consumers need convenience, but not at the cost of risking the security of their payment information. According to Jose Diaz of Thales, achieving balance between the two would be the key to moving mobile commerce forward. He said that while there are many m-commerce solutions, we are still in a “test period” and the clear choice has yet to surface. Streamlining security, he said, would enable more convenient solutions and thus spur adoption. **Heated Debate Surrounding Biometrics: **At CARTES, debate swirled around the topic of biometrics, with some suggesting that biometric-based payment solutions were dangerous to consumer privacy – as personal data such as fingerprints might be mismanaged, and due to their uniqueness, could never be replaced if they are compromised. Others, however, argued that biometric payments are more secure and convenient than other forms of payment. A Morpho representative further explained that biometrics require only a one-to-one matching of the fingerprint and an authenticating device, with no need for a central database (reducing privacy concerns). According to Mr. Piou, politicians can be irresponsible so it is the industry’s responsibility to ensure that biometric data is not mismanaged. **Rise of the (Personal) Internet of Things: **As the “Internet of Things” converges with wearable technology and biometrics, the way humans interact with technology is transforming significantly – with huge implications for payments. In some cases, the body itself is becoming the ‘user interface,’ which can enable merchants and service providers to completely personalize the user experience for each individual. Imagine a world in which a simple movement of the hand could prompt a transaction. Purchases will no longer require devices or applications, but rather would become a more or less ‘natural’ activity. Retailers Leading the Way: Pushing mobile payments forward will require champions willing to launch innovative services ahead of the pack and break the ‘chicken-and-egg’ dilemma facing the industry. Retailers have, in many cases, taken on this role in order to meet consumer demand for mobile wallets and mPOS systems. Retail-led initiatives such as Merchant Customer Exchange are driving consumer adoption more than other players, such as banks. Futuristic Technology Exists, Speed of Implementation is an Issue: Technology exists that can revolutionize the card and payments industry, but speed of implementation is an issue. A game-changer will be the move of everything onto the mobile device, said Axel Deininger, Group Senior Vice President, of Giesecke & Devrient. Without even developing new technology, the potential applications of existing tech are immense. NFC: Now or Never: The industry is experiencing fatigue surrounding NFC and the prevailing question – will it succeed or not. One of the main themes that emerged from CARTES was that if NFC is going to happen, it has to be now in 2014. According to Charlie Craven, Vice President of Global New Product Development at American Express, NFC is on the rise but the enabling infrastructure isn’t there yet and identifying key partnerships is more important than ever. Despite barriers to launching NFC payments, however, several NFC successes (for example, Orange Cash in France) offer signs that the flailing technology could in fact triumph. Banking / Retail / Loyalty – Airtag’s AIRSHOP Order: This solution is a white label mobile wallet with feature modules that brands can easily customize to suit their specific loyalty and couponing needs. The wallet enables both ordering and payment and includes a web portal to manage product availability and track or analyze consumer purchasing behavior. Mobility – Think&Go NFC-Shopping: This NFC payment solution enables consumers to complete their entire shopping process via their mobile devices, from adding items to their basket to checking out. Additional features include coupons, promotions, loyalty and push notifications based on personal preferences. One thing that makes the Think&Go solution stand out is that it can work even in areas with no network coverage. E-Transactions – Swiff mWallet: Catering to merchant aggregators, banks and telcos, this mobile wallet empowers merchants with sophisticated data and customer management tools. The solution can either work as a standalone payment portal, or integrate into an existing Swiff mPOS system. Trusted Internet / Authentication – Oberthur Technologies “My Voice is My Password”: This technology streamlines the authentication process through biometrics. Specifically, it enables the storage of sensitive information such as an individual’s voice pattern within the SIM. Voice biometrics act as a form of two-factor authentication (voice and passphrase), which is both revocable and has strong anti-spoofing capabilities.